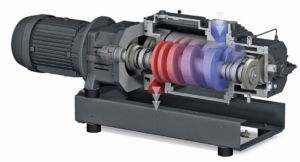 The switch from liquid ring to dry screw vacuum technology has tremendous benefits for Capua 1880. The quality assurance of the essential oils produced has been considerably simplified. 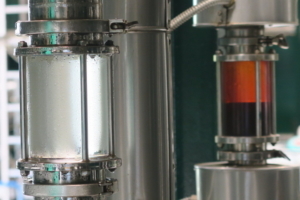 Quality impairments caused by higher temperatures during the distillation process can be eliminated completely. 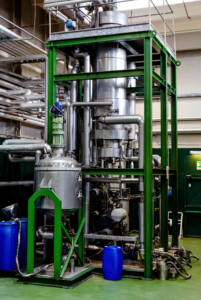 Distillation at low pressures, precisely adjusted to the product, allows the process to run under optimum conditions and guarantees the best results for the fragrance. This also produces a completely clear, colourless oil (Fig. 5). Getting rid of the liquid ring vacuum technology means that the operating fluid water and thus the costs for it and the additional expenditure for maintenance work were also eliminated. Capua 1880 has signed a service agreement with Busch. 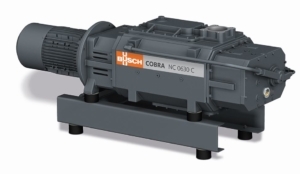 It stipulates that a Busch service technician will inspect and service the COBRA vacuum pumps and vacuum systems once a year. Further maintenance work is not necessary. Capua 1880 is confident that it took the right decision two decades ago when it switched to Busch’s COBRA screw technology. 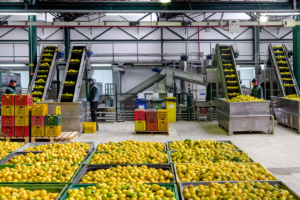 This has also created a new quality standard in the production of essential oils from citrus fruits.